At ten years old, when I joined the school band, I had little interest in these mysterious Italian words written on the corners of my songs. They were supposed to tell me the tempo of the music—how fast or slow to play—but I didn't want to listen to them, or to my teacher, or to my bandmates; I wanted to do my own thing and play at my own pace. Music, after all, like Magic, is about playing from the heart. I truly wish, from the bottom of my heart, that I could get free tickets for each and every one of you, my readers, to attend my clarinet recital at Carnegie Hall next month. I wish I could get tickets, but unfortunately there's not going to be any recital. I'm not a clarinet virtuoso. Quite the opposite. My days in the school band were short lived, as my refusal to learn those funny Italian words and the concept behind them made my career with the clarinet largely a disaster. Neither I nor anybody else could listen to my disharmonious clatter, so I gave it up, and I went back to playing Magic. But I don't like to make the same mistake twice, so when it comes to Magic I have a deep respect for the concept of tempo. 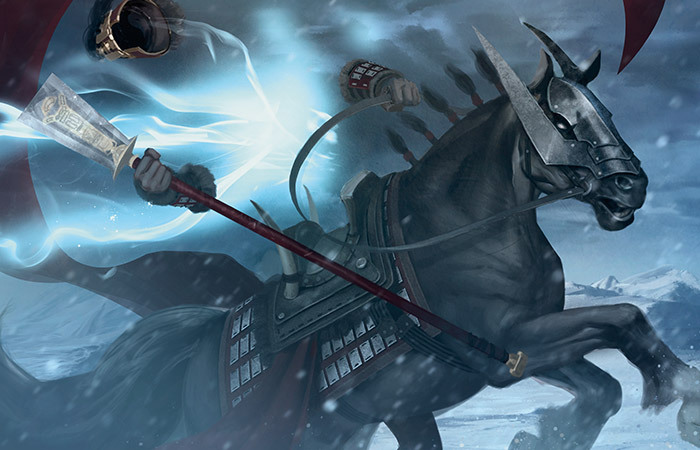 Tempo is a resource, and when it comes to modern-day Magic, with its deadly creatures and powerhouse Planeswalkers, I personally feel that it's the resource most closely connected with winning and losing games. If you fail to understand tempo when you play Magic, then you're no better than ten-year-old Reid toot, toot, tooting away at random during band practice. Your chances of winning are the same as his chances of making it to Carnegie Hall. Tempo, in the most basic form, is board presence. It's derived from how your creatures, lands, Planeswalkers, artifacts, and enchantments match up against those of your opponent, and the consequences that follow from it. We call it "tempo" because of the way the two players jockeying for the resource dictates the pace of the game. As a resource, tempo is very closely related to mana. It's often (but not always) related to life total as well. When it comes to card advantage, you'll sometimes have to choose between gaining tempo at the expense of card advantage, or vice versa. For example, if you take a turn to cast Divination, you gain card advantage, but you've spent a turn without improving your board presence, so might've given up tempo in the process. Other times, though, you might be able to leverage a tempo advantage into card advantage instead. Say you're so far ahead on the board that your opponent is forced to chump block—block and lose a creature—just to preserve his or her life total! Last month, I introduced the concept of the mana curve, building your deck with a healthy mix of spells that cost varying amounts of mana. Mana curve is important because of tempo. If your deck is made up of all five-mana spells, you'll have nothing to do on the first four turns of the game. Your mana on turns one through four will be wasted. If your opponent is able to use his or her mana more effectively, then you'll fall behind on the board, fall behind on tempo, and fall behind in the game. Mana is a resource, and one aspect of tempo is making sure your mana doesn't go to waste. If you find yourself very often ending the turn without using all of your mana, this should be a red flag that there might be an inefficiency in either the way you've built your deck or the way that you're playing the game. Let's say, for example, that your opponent has just played an Alpine Grizzly. On your third turn you play your land, and the only play you can make is to cast Banishing Light to exile the Alpine Grizzly. Should you do it? Well, this is a complicated question. Sometimes, other factors can outweigh your tempo concerns (for instance, maybe you want to save your Banishing Light for a more powerful threat later in the game). However, casting Banishing Light is the play that gains you the most tempo—you spend your mana efficiently and save yourself from falling behind on the board. Imagine that your hand also contains Alabaster Kirin and High Sentinels of Arashin. These are four-mana creatures that you're hoping to cast on your next two turns. If you don't cast Banishing Light now, then you'll either have to wait until much later to use it, or you'll have to cast it instead of playing a creature that you would've liked to add to the board. The longer it takes you to deploy your threats, the more tempo you'll lose. Even after you play out your creatures, you'll probably want to spend your mana on High Sentinels of Arashin's activated ability. This is really your one good window to cast Banishing Light! Tempo is about developing your board, and playing lands is part of developing your board. Each land that you play provides you one more mana every turn for the rest of the game. This is why progressive turns tend to become more powerful, with wilder tempo swings as the game goes on. This is also why missing a land drop is so devastating; you fall behind on tempo right away and your ability to recover tempo on future turns is also damaged. Some lands, like Sandsteppe Citadel, enter the battlefield tapped. This means that they cause you to miss out on one mana on the turn you play them—potentially leading to a loss of tempo. The flip side is that these lands are often more powerful once they're in play (Sandsteppe Citadel, for example, taps for three different colors of mana). On any turn that you didn't have something pressing to spend your mana on, playing a land tapped can be a good long-term investment. Whether to avoid enters-the-battlefield-tapped lands or to include them in your deck is a question of your exact strategy, and how much you can afford a small loss of tempo in the early turns. Managing these tapped lands well is also important. Say your hand contains one Forest, two Sandsteppe Citadels, and Elvish Mystic. You can play Forest and Elvish Mystic on turn one, but then you might have to play tapped lands on turns three and four. You won't have access to four mana until your fourth turn, despite the jump-start of Elvish Mystic. Alternatively, you could play Sandsteppe Citadel on turn one, then play Elvish Mystic and your second Sandsteppe Citadel on turn two, and your Forest on turn three. This way, you come out of the gates a little slower, but you have four mana one turn ahead of schedule. Which of these lines of play to take will depend on the rest of your hand. (Do you have a two-mana spell? Do you have a four-mana spell? How quickly will you need white and black mana)? And what does that Elvish Mystic mean for your tempo? What about this card? Elvish Mystic and Abzan Banner function the same way as lands once they're in play. Like lands, they offer extra mana every turn for as long as they remain on the battlefield, potentially allowing you to pull ahead of your opponent in tempo as the game progresses. The catch is that they require an initial investment of mana. Again, some decks will be willing to make this investment and others will not. Most of the time, creatures will define the battlefield and, more generally, the game itself. Although I choose not to measure tempo in any kind of numeric way, I think of creatures as the most basic "units" of tempo. When discussing threats and answers, I made the claim that it was good to be proactive. The proactive player (who's attacking or otherwise progressing his or her game plan) takes the initiative, meaning that he or she sets the pace of the game and forces the opponent to react (block or otherwise defend him- or herself) to proactive plays. A number of advantages come along with taking the initiative. One of them is that if you're attacking very aggressively, it's often difficult for your opponent to find a way to attack you back. You don't have to mount a defense (the best defense is a good offense), don't need to worry about your life total, and don't need to protect your Planeswalkers. Moreover, if you're forcing your opponent to block, you're putting your opponent in a frightening position. For one, removing a key blocker often means a big tempo swing and a lot of damage being dealt. Even when the creature survives to block, the attacking player will often have all of his or her mana available (since it's the attacking player's turn) while the blocking player might not (perhaps having just tapped out to play a blocker). This means that combat tricks like Awaken the Bear and Become Immense can be used to their full potential. For a player who wants to be attacking, creatures also require this initial investment, since they cannot attack the turn they enter the battlefield. However, for a player who's concerned with blocking (who is jockeying for tempo exactly the same as his or her opponent is), a creature can create a tempo swing immediately. Enters-the-battlefield triggers and abilities like haste can be excellent in terms of tempo. Removal Spells and "Removal Spells"
Removal spells can be a great way to gain tempo advantage. With a removal spell, you can take out a blocker to continue attacking or you can take out an attacker and defend yourself with little risk of anything going wrong. Utter End is a simple, elegant, no-questions-asked removal spell. If your opponent spends his or her turn playing a creature and you spend your turn casting Utter End on it, you've probably broken even on tempo advantage. (As a side note, you've also broken even on card advantage—a "one-for-one" trade). "A tried-and-true strategy is to deploy a lot of cheap creatures and try to win the game before your opponent can answer them all or have time to cast more powerful spells. While plenty of creatures cost only one or two mana, the vast majority of answer cards are more expensive than that." This is the description of a tempo-based strategy. If you fill your deck with cheap creatures, it's likely that your cards will be less powerful and unable to stand up to your opponent's cards in a fair fight. Fortunately, you don't have to engage in a fair fight! Imagine you're able to deploy five or six creatures in the first four turns of the game, and then your opponent begins fighting back on turn four starting with an Utter End on one of them. It might be the case that turn four resulted in no net gain of tempo, but since you were so far ahead before that, you've managed to preserve your tempo advantage. Once you're ahead on tempo, every turn that the game state does not change you'll able to glean an advantage in another form—in this case massive damage by attacking your opponent. Now imagine an even more devastating scenario: the player ahead on tempo is the one with the Utter End. Again, you've managed to get ahead on the board by playing a handful of cheap creatures on the early turns. Now your opponent, in an act of desperation, has cast an Abzan Guide, hoping to block and stabilize both the board and his or her life total. You cast Utter End on the Abzan Guide and are free to attack with all of your creatures. This is a perfect example of preserving—or pushing—your tempo advantage. In other words, you've made a play that realizes a concrete advantage because you have the upper hand in tempo. When your opponent misses a beat, knowing how to capitalize on your tempo advantage is key. Removal spells are great for pushing a tempo advantage because, unlike creatures, there's no initial investment—their impact on the board is immediate. Utter End offered a one-for-one trade—no change in card advantage. A bounce spell, like Force Away will actually leave you with card disadvantage much of the time. You'll have spent a card, but your opponent's creature, while off the battlefield, will still be in the game as a resource that he or she can use in the long-run. Nevertheless, Force Away and Utter End will often have an identical impact on the battlefield. Given that it costs only two mana, Force Away can be a great tool if your game plan is focused on tempo (at the expense of card advantage). In the case where you have five creatures and your opponent has just played Abzan Guide as the first blocker, casting Utter End and casting Force Away are likely to be very similar—either one will win the game! The Abzan Guide will be in your opponent's hand instead of exile, but it's likely that you're going to win the game immediately by attacking. If not, then your opponent will have to invest six mana again (this is probably a full turn) and in either case, the game is likely to be decided before your opponent has time to play out every card in his or her hand. Traditional measures of card advantage go out the window when one player loses the game with five or six cards left in hand! Note that these are perfect circumstances for a bounce spell to be effective for three specific reasons. First, you're ahead on tempo already and are using Force Away to push your advantage (you realize an advantage in the form of life total by leveraging your tempo advantage). Second, you're bouncing a six-mana creature, forcing your opponent to spend far more mana to replay Abzan Guide than you spent on Force Away (you might even cast another creature this turn to further your tempo advantage). Third, your opponent has a hand full of other cards he or she is waiting to play and is therefore bottlenecked on mana (he or she has more things to do with mana than has mana available). 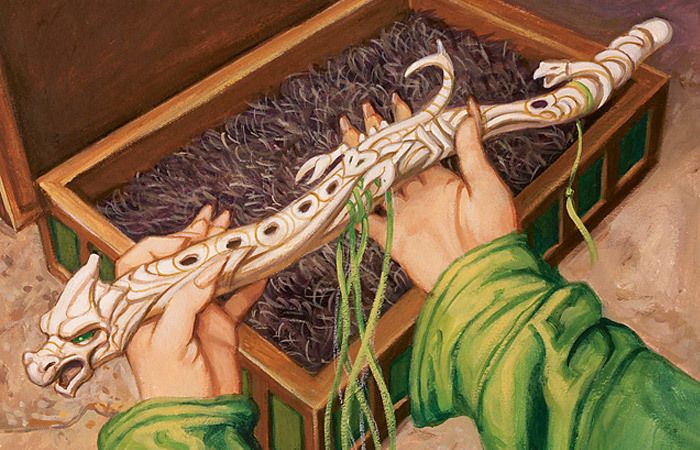 What makes tempo such a challenging concept in Magic is that it can be hard to know how its value changes from one game to the next. There are plenty of situations where neither player has the ability to push a tempo advantage. One example is a creature stall, where neither player can profitably attack. Another is a late-game scenario where both players have plenty of mana to spare. Imagine that you cast Force Away on your opponent's Abzan Guide but are unable to attack. On your opponent's turn, he or she has plenty of mana and nothing else to do with it besides replay Abzan Guide. For a split second you've gained tempo, but you were unable to push your advantage. The end result is the identical game state as before, except you've lost Force Away as a card in your hand. In cases like these, tempo should take a back seat and you should instead focus on considerations like card advantage. When you start a game of Magic, you won't see Largo written on the table and your opponent won't have Adagio scribbled on his or her forehead. The value of tempo changes from one game to the next, and even one turn to the next. Knowing when you can capitalize on tempo can offer you a great advantage, but identifying when you should focus on other aspects of the game instead is even more important. There are no easy answers. Remember, Magic, like music, is about playing from the heart.